Welcome to the research guide for Comparative Literature at Brown University. This guide will help you to get started in your research but you are always welcome to contact me, whether it's to set up a research consultation appointment or just to answer a quick question. Are you new to humanities research? Take a look at our Improve Your Research Skills Guide, which includes sections on general research as well as broad discipline fields (Humanities,Social Sciences,etc). This guide will help you through the process from beginning your search to writing your paper. Unknown artist. 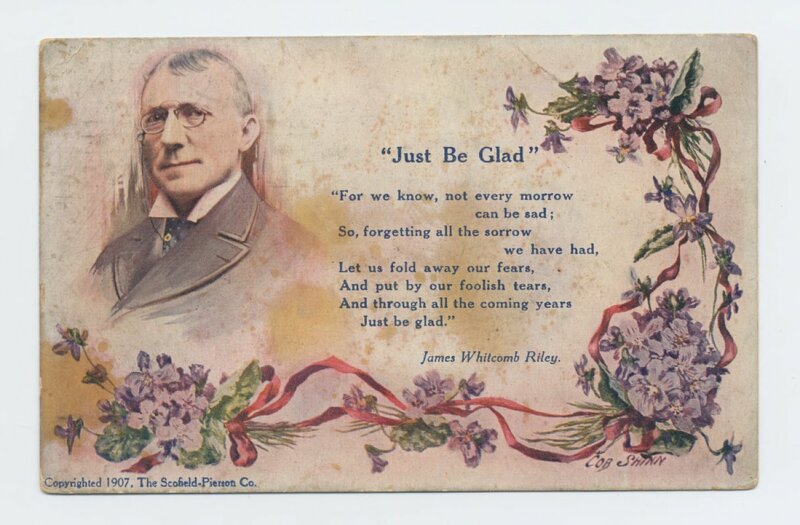 Just Be Glad. Postcard, 1907. Harris Collection.